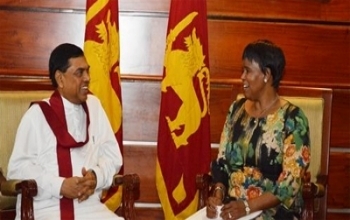 Botswana High Commissioner to Sri Lanka H.E Lesego Ethel Motsumi with the Sri Lankan Minister of Economic Development Hon Basil Rajapaksa, during the High Commissioner\'s recent visit to Sri Lanka. From the outset, Merafhe was firmly opposed to a motion, tabled by the MP for Kgatleng East, Isaac Mabiletsa, last Friday to \'liberalise\' DIBS. The debate took place in the midst of calls for \"serious action\" against the private media prompted by a newspaper column that referred to MPs as zombies.\"As a government sector, it must continue to disseminate information to people regarding government issues the way it is.\" Even so, Merafhe conceded that \"many appeals\" had been for radical change at DIBS, including turning it over to the private sector. To emphasise his aversion for the very idea of change at DIBS, Merafhe repeatedly said the issue was not negotiable. \"We cannot surrender this department to a foreign body,\" said the VP. 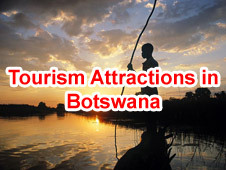 \"It has its legitimate function to communicate with Batswana, therefore we can\'t write it off. Otherwise we will be qualified to be classified as idiots,\" he said. In a House that has come to be distinctly divided along party lines regardless of issues, most Botswana Democratic Party (BDP) MPs opposed the motion.